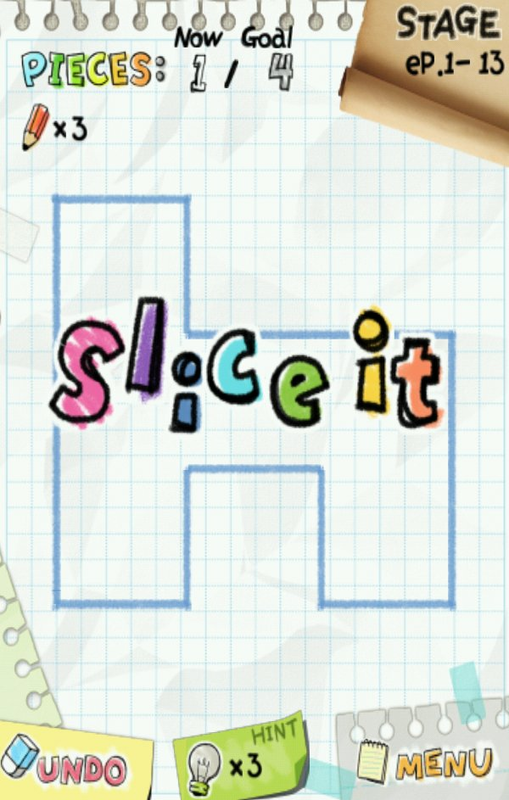 It's not a fruit slicing game at all, but a highly challenging game that keeps your brain warm. It's simple. You have to cut a piece into a given number of slices. The piece varies from level to level together with the number of cuts you can make and the number of slices that must be there in the end. It sounds easy. But soon it gets more complicated as more and more slices have to be made with less cuts . The target is to make the slices as equal as possible. It's nice and it will keep you from work for many hours :), and you'll never have a problem again to cut your pizza in equal slices. 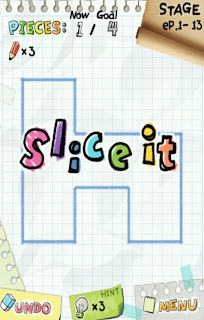 You can get Slice It from getjar. You can search for it in the Android market,too.